Ninja Theory is defined by three things: ninja-class melee gameplay, strong character stories and a unique art vision. On Hellblade, we will double down on what we do best to give you a deeper character in a twisted world with brutal, uncompromising, combat. Expertly crafted both in story and gameplay, Hellblade: Senua's Sacrifice is at the same time both a unique experience and a derivation of some of gaming's best. Hellblade: Senua’s Sacrifice is a clear example of a game as an art form with a strong message and a complex, layered narrative. It’s true that you’re sort of along for the ride and most of your interactions are through your emotional response to what is depicted rather than through the mechanics of the game, but is that such a bad thing? At the end of Hellblade: Senua’s Sacrifice I felt like Ninja Theory had really outdone themselves in every way. I always enjoyed their games and felt that they were a talented developer, but Hellblade really took it to the next level. With its amazing take on an often avoided or misunderstood subject, fun combat, interesting puzzles, and beautiful graphics, Hellblade deserves a part in your library. Despite a bug that forced my first playthrough to end prematurely, Hellblade: Senua’s Sacrifice is an incredible game that will continue to linger with me as a singular and emotionally affecting experience. For its audio and visual design alone, it is stunning, but for its ability to use the video game medium to bridge our understanding of mental illness while also telling a personal and powerful story, it is a masterpiece. Hellblade’s rewarding combat system and its larger story that deals with mental health in a significant way make for a great cinematic journey that isn’t afraid to embrace its linearity. While I would have liked to see the same kind of ambition in the puzzle design, Senua’s Sacrifice is a worthy addition alongside the likes of the severely underrated Enslaved: Odyssey to the West. Hellblade: Senua’s Sacrifice is the action adventure genre stripped of its excess, until a smaller, more personal journey remains. While it may feel shallow and lacking for some, those wanting something other than the usual big-budget 70-hour fare will find Senua’s story to be unlike anything else in recent years. At its heart, when you strip everything away, Hellblade is a frank and unrelenting warning about helping others, to not let them drift further and further towards darkness. For that reason alone, Hellblade may just be the year’s most vital game. Hellblade is epic in its presentation but is truly a deeply personal journey for Senua to overcome grief and her personal demons. Hellblade overcomes very minor hiccups with incredible presence, immersive design, and an overall package that truly leaves an impression, not to mention the fact that it’s only $29.99. Psychosis in video games is often used to justify a villain’s world-destroying ambitions, or as a vehicle to present gameplay gimmicks. Hellblade goes beyond those conventions, using Senua’s mental illness as the core from which the entire tale radiates. That approach results in some phenomenal and unsettling narrative moments that knock you off-balance. An incredible atmospheric story reinforces Hellblade's serious subject matter in this vivid tale of harrowing darkness. It's a game whose many elements speak with one voice to address a subject and tell a story that has the potential to deeply touch those who identify firsthand with its themes, and if this game doesn't leave you feeling more civilized and empathetic toward those themes by the end of it, it's hard to imagine the game that can. 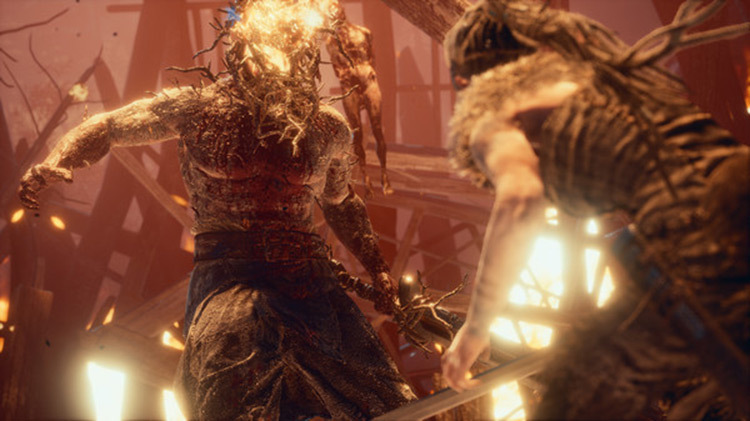 Hellblade: Senua’s Sacrifice is not going to appeal to all tastes, and nor does it try to. As a character action game, it has decent if underdeveloped combat and a mixture of some excellent and some overplayed puzzles. But it’s the way that the title utilises the unique attributes of the medium to raise awareness of mental health that elevate this release beyond the sum of its parts. Some puzzle areas are a bit more open and allow Senua to explore off the trail. Although the punishing combat received a lot of attention during the early gameplay reveals, the bulk of gameplay in Hellblade is actually focused around solving a variety of puzzles that open doors to gated sections of the map. Hellblade successfully weaves metaphors of grief and loss into fundamental game mechanics and rich folklore, and through these I felt like I truly was able to understand how someone else sees the world. Hellblade: Senua’s Sacrifice is a complete experience for a bargain price. 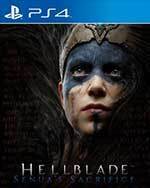 Struggling through life as a psychosis sufferer is an alarming experience, and Hellblade provides an illuminating glimpse into the lives of those afflicted by such terror. Combat is visceral, yet on the game’s easiest mode should prove no problem for those interested in experiencing the story. Regardless, Ninja Theory ought to be praised for what it’s achieved – an adult story that’s told like no other, combat that’s skilful and harrowing, unique environmental based puzzles and light, scenic adventuring. It’s just a shame that some of Hellblade‘s gameplay components at times feel forced. Maybe it’s artistic vision that’s to blame; the will to make players feel like the journey is an uphill struggle, that the odds are stacked against them. Hellblade: Senua's Sacrifice is beautiful, discomforting, and compelling. 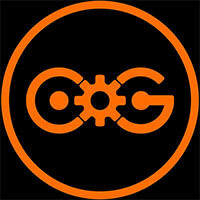 It might challenge what you like about games, but challenge is good. You're doing yourself a disservice if you don't try it. Hellblade's most notable achievement is the handling of an incredibly sensitive subject matter within an engaging and well-crafted action/adventure game. 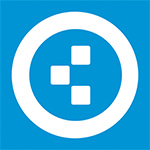 At its heart, the story is about Senua's struggle to come to terms with her illness. 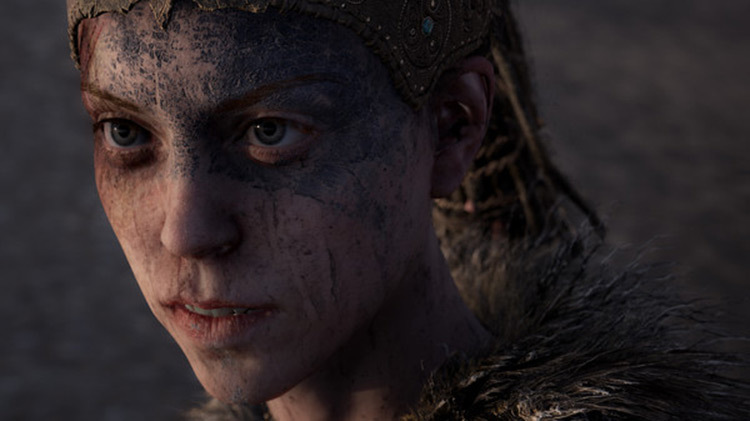 This is a game that wants to explore new subjects, and does so in a great way, as the presentation is stunning and you'll really feel like how Senua thanks to the great audio design and performances in a really atmospheric world. Some of the experiences will linger with us for a long time, which makes it so sad that the monotonous gameplay and technical problems on PS4 makes the sequences in-between fairly forgettable. 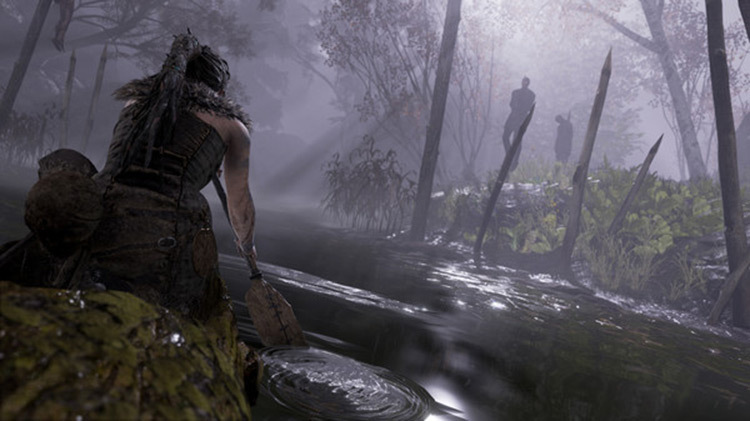 Hellblade: Senua's Sacrifice is a powerful and significant piece of interactive media that, yes, is far from perfect, but successfully puts mental illness at the forefront of the concept, causing its players to come away from the experience contemplating exactly what they have borne witness to, and allows them to better understand the very serious realities that others go through on a daily basis. Hellblade: Senua’s Sacrifice is a profound sensual experience that’s unmissable. The way it highlights psychosis and incorporates it isn’t just a part of the aesthetic, but it also makes for fascinating gameplay. This is a phenomenal achievement for the discussion of mental health that we’ll be talking about for years to come. And on occasion some of the effects – film grain, hallucinations, transitions between world states – can feel a little cheap, as if they’re hiding cracks beneath. But Hellblade is so well executed in so many ways, so committed to its mission and has integrated concept and design so well that we found it easy to look past these things to enjoy it immensely. Hellblade is one of my favorite titles this year. Its incredible use of sound and visual manipulation to completely immerse you in its experience is a credit to Ninja Theory. Hellblade: Senua’s Sacrifice is a prime example that you don’t need a massive budget to create something extraordinary. Hellblade’s mundane mechanics help underscore a powerful story of overcoming your demons, if you’re willing to subject yourself to the honest portrayal of mental illness it presents. 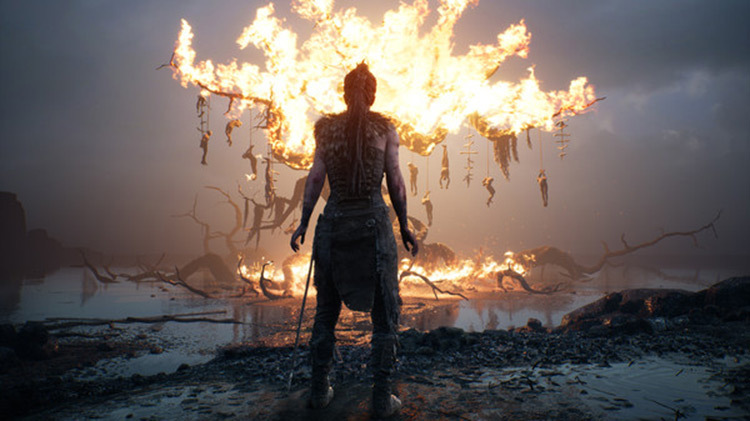 Hellblade: Senua’s Sacrifice es un viaje en el más puro sentido de la expresión. Ninja Theory vuelve a demostrar su talento para llevar a cabo obras únicas y con enorme personalidad, y nos regala una aventura de acción atípica y que explora con interés y sensibilidad los rincones más oscuros de las enfermedades mentales. Hellblade es un juego intenso, bello y sobre todo respetuoso con los problemas mentales, sin banalizar esas afecciones. Podría haber tenido algo más de peso el combate, quedando en ocasiones raro definir este título como un juego de acción, pero su potente narrativa y peculiar diseño de los escenarios para la resolución de los puzles saben compensarlo a las mil maravillas. Con la tremenda belleza y diversidad de su apartado visual, su iluminación casi protagonista de la mayoría de escenarios —que se sienten como tal: setpieces separadas de ambientes distintos— y el excelso trabajo de interpretación de Melina Juergens (sobre todo si tenemos en cuenta que no es una actriz profesional sino que es la editora de vídeo de Ninja Theory; su entrega al personaje es en cuerpo y alma), Hellblade: Senua’s Sacrifice se presenta como uno de los proyectos más valientes que se hayan visto en esta industria. Una aventura diferentes y muy bien ejecutada, que aborda el tema de la psicosis desde una perspectiva adulta. El sistema de combate es profundo, y el apartado técnico (tanto los gráficos como un sensacional apartado sonoro, están a la altura de los títulos más punteros. Aunque tiene un precio reducido, Hellblade Senua´s Sacrifice se queda corto. En combinación la trama, el psicótico modo de juego y sus excelentes visuales hacen de Hellblade Senua’s Sacrifice una sorpresa muy agradable. Aunque me hubiera gustado que me entregará más horas de juego y que los enemigos fueran un mayor desafío, el título de Ninja Theory me deja con muy buen sabor de boca que estoy seguro agradará a más de uno. Definitivamente es un juego que los amantes de esta generación deben probar. Aquí en la oficina, algunos quedaron súper conformes con el final; personalmente, lo encontré algo flojo, pero ello no mermó mi satisfacción con el paquete completo. Sentí algo de agotamiento con la fórmula y frustración con ciertos elementos del juego hacia el último tercio, pero para mí, Hellblade: Senua’s Sacrifice fue una grata sorpresa. Hellblade: Senua's Sacrifice es un juego que se disfruta mucho por su universo y su historia y por cómo consigue sumergirnos en su mundo, pero que no destaca por su jugabilidad. 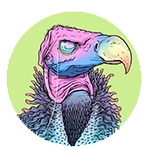 No es un juego que vayamos a recordar por sus puzles o sus batallas, sino por las imágenes que nos deja y por cómo nos transporta a la cabeza de Senua. Hellblade Senua's Sacrifice es una propuesta única y especial cuyo núcleo está en el tratamiento de la psicosis y su magistral recreación. Ambientación en la era vikinga con historia y leyendas mitológicas muy interesantes, aspecto gráfico más que notable y efectos sonoros y música excelentes, recreando las voces que la protagonista escucha en su cabeza de forma escalofriante. Fesselnder Kampf einer beeindruckenden Heldin mit ihren inneren Dämonen. Hellblade: Senua’s Sacrifice ist ein ungewöhnliches Spiel, aber manchmal einfach zu wenig Spiel. Viel zu oft wanderte ich nur durch die Gegend, lauschte vielen Stimmen oder suchte die immergleichen Runen in der Landschaft. Die Kämpfe sind zwar genau richtig verteilt, eine andere spielerische Herausforderung als das Balancieren über Abgründe oder der Flucht ins Licht hätten Hellblade allerdings gut getan. Avec ce Hellblade : Senua's Sacrifice accompli avec moins de moyens que ses précédentes productions, Ninja Theory propose une expérience prenante, oppressante, inquiétante, dérangeante de bout en bout. Une claque. C’est ce que Hellblade : Senua’s Sacrifice procure aux joueurs, en une petite dizaine d’heures de jeu, avec ses apnées contemplatives, son cadre anxiogène et le respect des mythes qu’il exploite. Loin d’être parfait dans l'ensemble et manquant d’un peu d’équilibrage au niveau de certaines phases, le titre de Ninja Theory fait ce qu’il promet : nous embarquer dans une descente progressive dans les enfers nordiques, dans la peau d’une héroïne aussi courageuse que perturbée, que l’on admire déjà pour sa prestation à l’écran. Son prix raisonnable et ses visuels forts pourraient faire passer Hellblade : Senua's Sacrifice pour une aventure vaguement interactive à la faible durée de vie, façon Dear Esther ou Everybody's Gone to the Rapture. Heureusement, il n'en est rien. Ninja Theory nous offre un véritable jeu, au gameplay simple et efficace. Mais c'est surtout l'ambiance, le propos et la réalisation, tous trois fortement influencés par la maladie mentale de l'héroïne, qui marquent le joueur et font de Hellblade un titre vraiment pas comme les autres. 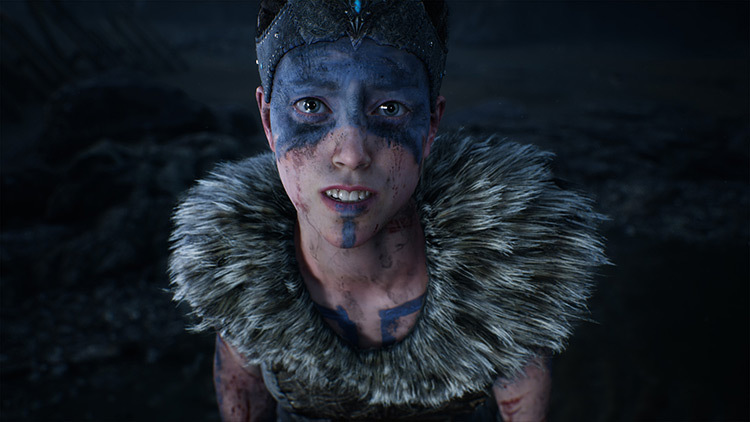 Aussi courageux et imparfait que son personnage central, Hellblade montre qu'il y a effectivement une place à prendre entre les jeux indés modestes portés par le bouche à oreille et les titres à gros budget sortant au bras d'une campagne marketing démesurée. Hellblade: Senua's Sacrifice é uma aula mestra em atmosfera, storytelling, e casamento entre design mecânico e conceptual. 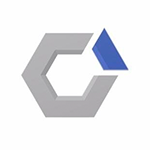 Embora existam momentos em que nos recordamos claramente que estamos a jogar um videojogo, o cuidado e atenção que os responsáveis do Ninja Theory colocaram em Senua e na sua história resultou em algo fantástico. É um jogo que todos deviam jogar, fiquei muito grato por poder ter vivido no interior da mente de Senua, ainda que por breves momentos. Chi si aspetta(va) da Hellblade una sorta di Heavenly Sword alleggerito dai suoi difetti, oppure un action moderno, meglio che guardi altrove: il nuovo titolo auto prodotto da Ninja Theory è per certi versi sorprendente, per altri spiazzante. 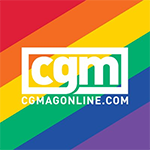 I combattimenti e la progressione sono al servizio di una narrativa forte, sceneggiata magistralmente, in grado di toccare tematiche raramente trattate altrove, figurarsi in un videogioco. Hellblade: Senua's Sacrifice dimostra che gli indie di lusso possono rappresentare un modello commerciale sostenibile, in grado di non rinunciare alla qualità a discapito del prezzo di vendita. Ninja Theory ha fatto un passo coraggioso in tutti i sensi, perché proporre una tematica così delicata e difficile da trattare merita un plauso e tutto il supporto necessario, soprattutto considerando la grande cura che la software house ha dimostrato di avere per questo aspetto del gioco. Hellblade: Senua's Sacrifice è un titolo coraggioso, che non ha paura di mettersi in gioco affrontando tematiche serie e complesse come l'infermità mentale. E lo fa attraverso un viaggio introspettivo di rara potenza narrativa, orchestrato a dovere per immergere il giocatore in un turbinio di suggestioni sempre più opprimenti. Hellblade: Senua's Sacrifice başta da dediğim gibi oldukça farklı bir deneyim vaat ediyor. Yapım ekibi olan Ninja theory, bu oyunda farklı birşeyler denemek istediklerini defalarca yinelemişti. Oyunu oynamaya başladığınız ilk dakikadan itibaren yapım ekibinin bu açıklamasında ne kadar başarılı olduklarını hissediyorsunuz. Hellblade: Senua’s Sacrifice is een hele zware ervaring, maar een prachtige voor wie het aankan. Dit is geen uitdaging, maar een letterlijke waarschuwing. Ninja Theory heeft een unieke ervaring neergezet over een strijder die te kampen heeft met een zware psychische stoornis en beeldt dat op overtuigende wijze uit. Ben je hier echter gevoelig voor, dan kun je Hellblade beter laten liggen. Hellblade: Senua’s Sacrifice nie jest grą dla wszystkich. Ucieszą się z niej przede wszystkim osoby chcące porzucić na chwilę otwarte światy, żeby zanurzyć się w bardzo osobistą opowieść o korytarzowej strukturze rozgrywki. Chciałoby się napisać oldskulowej, ale to byłaby chyba przesada zważywszy na zakres nowatorskich środków i doznań oferowanych przez ten tytuł. Hellblade: Senua’s Sacrifice jest tytułem, który na długo zapadnie nam w pamięci. Niezwykle intensywna i trudna podróż głównej bohaterki wywoła u nas mnóstwo emocji.